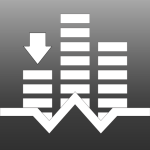 White Noise Market v4 has been published to iTunes App Store, Google Play Store, and Amazon Appstore. It’s a big update that adds audio previews while scrolling the Chatter View and the app also supports deep links! Chatter View now previews audio of each sound while scrolling. It’s now the default view when starting the app. Deep Links now supported! App will open if you click on whitenoisemarket.com links. iOS can open deep links in Safari or text message. Android works if links are clicked in text message but chrome doesn’t appear to honor deep links anymore. Added “Recent Sounds” to Featured Tab on iOS and as a new tab on Android. It’s much quicker to use this view to see the latest published sounds. Moved “All Sounds” from Sounds tab to a new “Catalog” view. Added new settings page that allows you to enable preview of audio and configure audio preview volume. Login improvements and login data is now persisted between app restarts. Upgraded Google and Facebook libraries to latest version. iOS Today widget improvements and optimized and fixed major performance issues with iOS search. Numerous bug fixes and minor improvements. This entry was posted in White Noise and tagged White Noise Market. Bookmark the permalink.